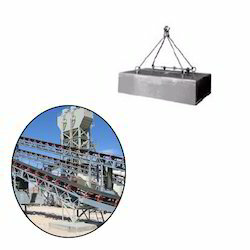 Manufacturer & Exporter of Permanent Suspension Magnets for Material Handling Industry. Our product range also comprises of Lifting Magnet, Magnetic Pulley and Magnetic Drums. Looking for Permanent Suspension Magnets for Material Handling Industry ?